What is the best time of day to meditate ? As a psychotherapist, I offer clients skills which promote emotional and mental well-being. If I could give my clients one gift, it would be that they learn to meditate . 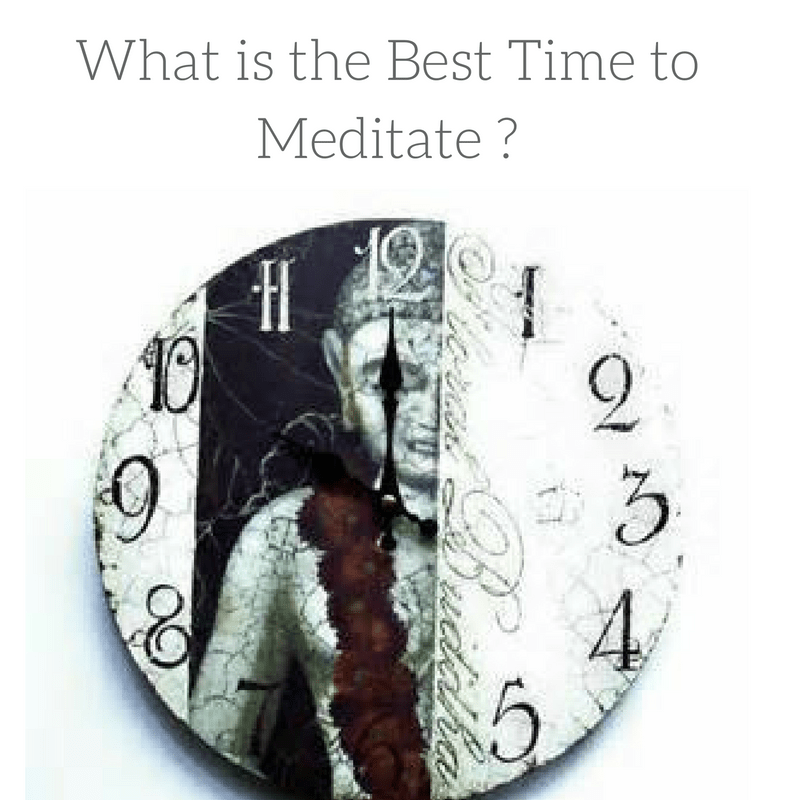 For new students, practical questions such as what is the best time to meditate are important. When learning to meditate, having a teacher is important. Different types of meditation should be matched to fit the needs and personality of the student. Also, new students may experience periods of frustration as they begin to meditate. Attempts to control a racing “monkey mind ” is difficult in the beginning. Individuals may experience difficulty sitting still. Zen Meditation practice teaches to face your discomfort with the energy of a smile. In other words, you lovingly observe the discomfort without attaching to it. As far as time – there are specific times of day to meditate that are particularly conducive to a experiencing a deep meditative state. There are two times of the day that are particularly advantageous, for meditation but any time of the day will be beneficial to your mental and emotional health. If you cannot accommodate these suggested “best” times it is better to practice when ever you have a chance. Be as diligent as possible with your practice. Daily meditation is like a savings account. You are making deposits into the account of calmness, clarity and peace and you make withdrawals on those feelings when they are most needed such as during times of stress. Meditation during specific times might deepen the meditation experience because of corresponding brain wave frequencies. These times periods are optimal because of corresponding brain wave activity. Meditative states have a corresponding brain wave frequency. The brain wave frequencies observed in meditation are the same frequencies experienced when we are coming in or out of sleep cycles. Rolling in or out of bed directly into your meditation pillow provides an obvious advantage. Your brain is already humming at a frequency that is conducive to a deep meditative state. Add a dose of focused awareness, and you have a deep meditation experience. Why are these times of the day better? Explanations of brain wave frequencies and brain functioning help us understand why meditation in the morning or at night has advantages. Beta (14-40 Hz) – The waking consciousness and reasoning waves: Beta brain waves are associated with normal waking consciousness and heightened state of alertness, logic and critical reasoning. Beta waves are important for effective functioning throughout the day, they can also translate into stress anxiety and restlessness. Alpha (7.5-14Hz) – The deep relaxation wave: Alpha waves are associated with deep relaxation. This usually occurs when you close your eyes, when you slip into a lovely daydream, or during light meditation. Alpha is responsible for heightening your imagination, visualization, learning and concentration. The voice of Alpha is your intuition which becomes clearer and more profound the closer you get to 7.5Hz. Theta (4-7.5) – The deep meditation and sleep wave: Theta is present when sleeping, when in deep meditation and light sleep. It is the realm of your sub consciousness and only experienced momentarily as you drift off to sleep. Research has shown that a sense of deep spiritual connection and unity with the universe can be experienced at Theta. Theta is where you experience vivid visualization, great inspiration profound creativity and exceptional insight. The voice of Theta is silent. Delta (0.5 – 4Hz) – The deep sleep wave: The delta frequency is the slowest. It is experienced in deep dreamless sleep. In this state, awareness is fully detached. It is the only brainwave that is important for the healing process. Not having enough Delta can be dangerous to health. Gamma (above 4OHz) The insight wave: this brain wave is the most recently discovered. It is the fastest of all frequencies. It is associated with burst of insight and high level of information processing. Please leave a comment below if you have any further questions about meditation or if there is an aspect of meditation you would be interested in seeing in a blog post.